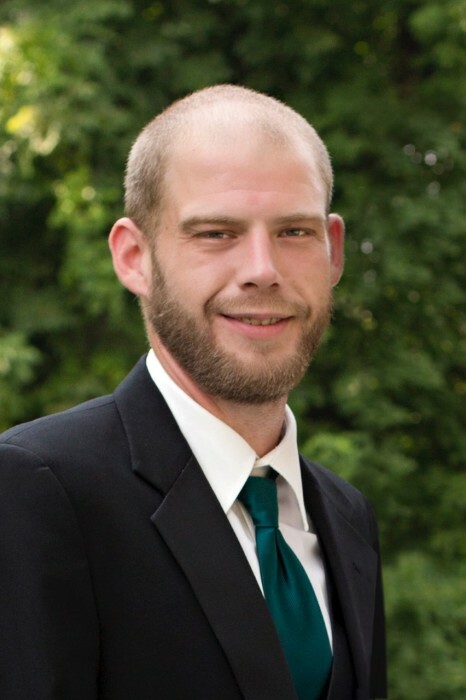 Jason Kenneth Adams, 30, of Terre Haute, Indiana passed away August 28, 2018 at his residence. He was born August 10, 1988 in Terre Haute, Indiana to Marvin Wesley Adams and Anita (Ralston) Adams. Jason was a loving son, brother, father, cousin, and friend. He enjoyed playing basketball and video games, but the activity he enjoyed most was playing and being with his children, Leah, Maggie, L.J., Reagan, and Mirakle. He adored his children and they adored him. He attended Gospel Tabernacle Church. Jason was preceded in death by his father Marvin Wesley Adams. He is survived by his mother, Anita Adams; sister Katherine Adams-Neustice (Michael); children Leah Sue Adams, Margaret Ann Adams, Larry Jacob Duane Adams, Reagan Emswiller, and Mirakle Adams; numerous aunts, uncles, cousins, and church family and friends. Funeral services are scheduled for Saturday, September 1, 2018 at 2:00p.m. in Greiner Funeral Home, 2005 North 13th Street, Terre Haute, Indiana, 47804. Tony Corey and Keith Moody will officiate. Visitation will be at the funeral home on Saturday, from 12:00p.m. until service time. Monetary donations may be made to the family for future expenses. Envelopes will be available at the funeral home. Cremation is scheduled after services. Online condolences may be made at www.greinerfuneralhome.com .